How would you feel if you knew that any part of the code was at most a few minutes away from being shippable and delivered into production? How would you feel if you knew that any part of the code is a few ctrl+z's away from being shippable and delivered into production? Emboldened and confident? Test driven development (TDD) gives you that. TDD allows you to proceed with confidence that you're building the right thing. It provides you with imminent-horizons that you can meet and measure. TDD gives developers the confidence to go faster, secure in the knowledge that what they break they will fix and be able to improve. Learn how to ensure that API producers and API consumers work well together using consumer driven contract testing (CDCT) without sacrificing the testing pyramid for end-to-end integration tests. Josh Long is a Spring Developer Advocate at Pivotal. 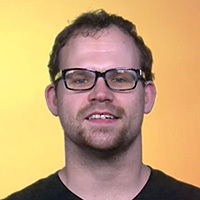 Josh is a Java Champion, author or co-author of 5 books (including O'Reilly's upcoming Cloud Native Java: Designing Resilient Systems with Spring Boot, Spring Cloud, and Cloud Foundry) and 3 best-selling video trainings (including Building Microservices with Spring Boot Livelessons with Spring Boot co-founder Phil Webb), and an open-source contributor (Spring Boot, Spring Integration, Spring Cloud, Activiti and Vaadin). He can be followed on twitter at @starbuxman.